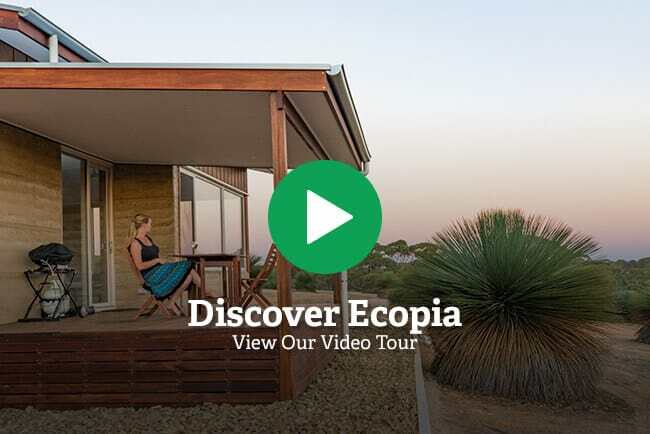 View our stunning video and experience the beauty of our Kangaroo Island Accommodation – Ecopia Retreat. Ecopia Retreat is luxury Kangaroo Island accommodation at its best! 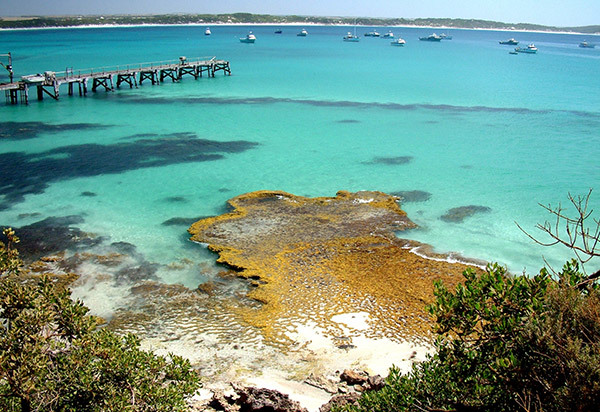 Situated in one of Australia’s most spectacular island destinations, immersed in 150 acres of natural wilderness. The property offers exclusive use of three bespoke luxury retreats – two Villas and the Residence – providing guests with front row seats to one of Kangaroo Island’s most covetable wilderness escapes. 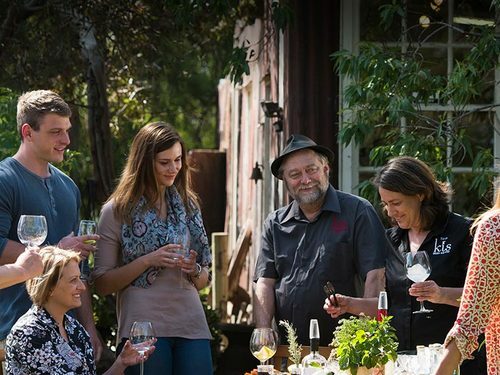 Imagine yourself sitting on the deck with a glass of one of our famous Kangaroo Island wines, while listening to the wildlife and enjoying the splendour of the natural landscape, not a car to be heard, the hustle and bustle and noise of civilization gone! Ecopia Retreat is located on a vast private property in the centre of Kangaroo Island. During your stay, you will be immersed in a habitat of wildlife and natural beauty. The property allows exclusive access to the Eleanor River and offers a unique opportunity to explore the inland beauty, one that is rarely experienced by travellers to Kangaroo Island. 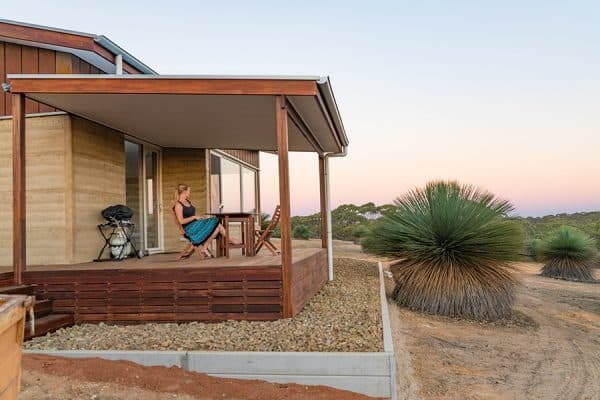 Our Villas, Ada and Villa May offer Kangaroo Island accommodation, these two luxuriously appointed rammed earth villas, each graced by sweeping panoramic views of the natural surroundings and carefully sited to provide guests with an intimate, private experience. 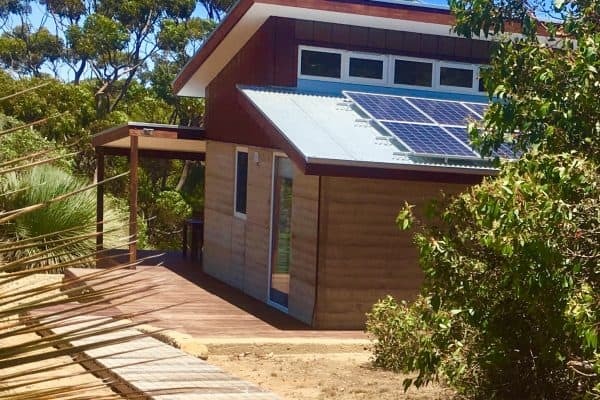 The Residence at Ecopia retreat is an eco-friendly, luxurious newly constructed three bedroom home situated amongst a spectacular 150 acres of pristine wilderness within the heart of Kangaroo Island. Ecopia Retreat - See you again soon! A sanctuary within a sanctuary Ecopia is exceptional in every way - the perfect getaway in amongst some of the most breathtaking scenery and wildlife. No view has been compromised in order for you to get the full experience of this special place. What a stunning home and location on kangaroo island. Robert and Yael have constructed an amazing luxury, sustainable home that blends perfectly with the surroundings. Highly recommended. An absolutely beautiful location and property. Couldn't get enough of the large windows that bathed the villa in light and provided an excellent view to the nature and wildlife right outside our door. The freestanding bath and impeccable interior design felt incredibly luxurious.